Pizza Time! is a VR pizza-making extravaganza for the HTC Vive. Take orders, cover pizzas in sweet sweet ingredients, and don't look the robots in the eyes. You'll have only a minute or two to make each pizza to order by throwing on toppings and tossing it in the oven — but not for too long or it'll burn! Complete as many pizzas as you can and see how much money you can make before you get three strikes by messing up orders. 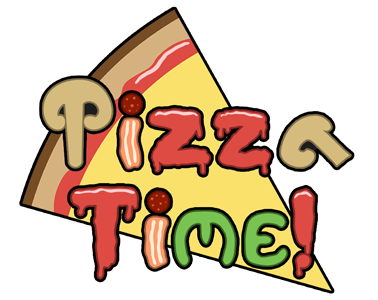 Pizza Time! requires an HTC Vive to play. Make sure Steam VR is open and calibrated before playing! Extract Pizza Time and double-click on "PizzaTime.exe"! So I don't know if this is only made for HTC Vive and that is why it won't work, but I'm on my Oculus Rift and when I load it in I am always underneath the ground. I have tried it with my headset on the ground and on my head but still the same thing happened. If anybody knows how to fix this please tell me. Can't install, I click on install, charging, copying, and that's all. Always button "install".